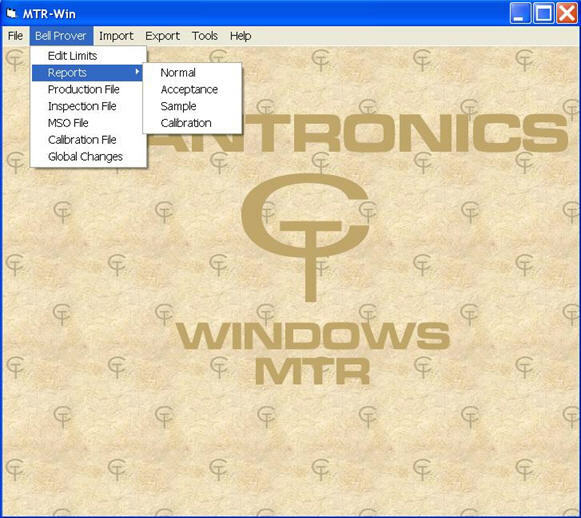 The MTR-Win program is a windows based meter test reporting program. It connects to microprocessor based prover networks such as Can-Tronics Micro PC. Communication is handled either by a custom four wire RS-485 communication link or standard network hardware. The MTR- Win program will poll each prover for stored meter test data. If the prover has any information, it will be released to the MTR-Win program. 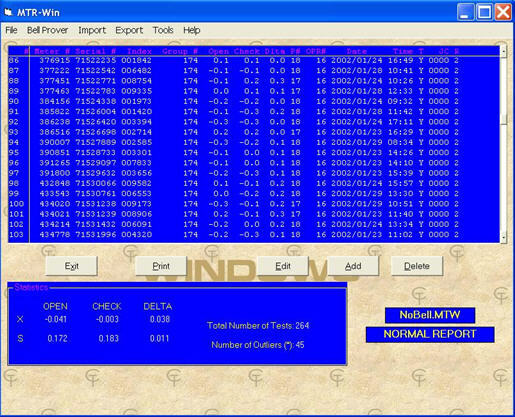 Once the MTR-Win program has the information, it can be sorted, printed and displayed on a standard Windows based PC. The display and printout is customized for each individual customer and is based on the data that is provided by the provers. Standard printouts and displays include the meter number, manufacturer’s serial number, prover number, meter proofs, meter type, meter test code, prover operator number, date and time. 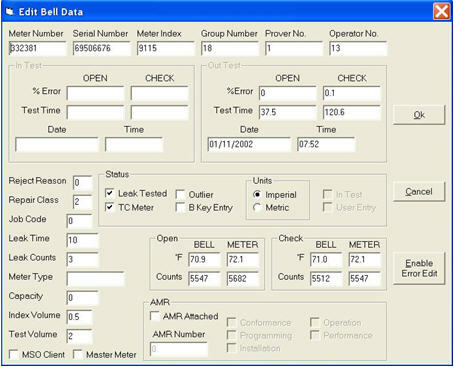 Tests can be sorted and displayed by company meter number or test time. You can narrow down the number of tests that are displayed by setting search limits. 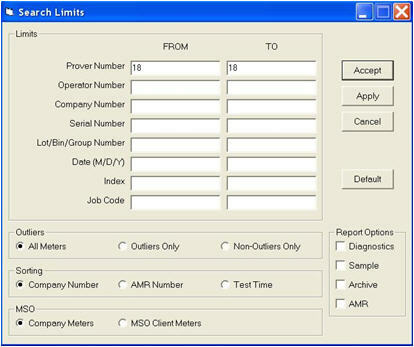 Some available search limits are date, company meter number, serial number, meter group number, operator number, prover number and meter type. Since the software can be customized to each users application, sorting and test selection criteria can be modified to suit the particular requirements of each customer. Tests can be manually entered or modified by the user. If a test is manually entered or modified, it will be marked so tests that are done at the provers can be differentiated from tests that were manually entered or modified. A password is required to change existing data as added security to prevent unauthorized changing of data. The data available to be modified is determined per each customer's requirement as based on the prover input. The size of the database is unlimited. The amount of records that can be viewed at one time is only limited by the amount of memory (RAM) in the PC. However, with the amount of memory in PC’s today, this number is virtually unlimited.